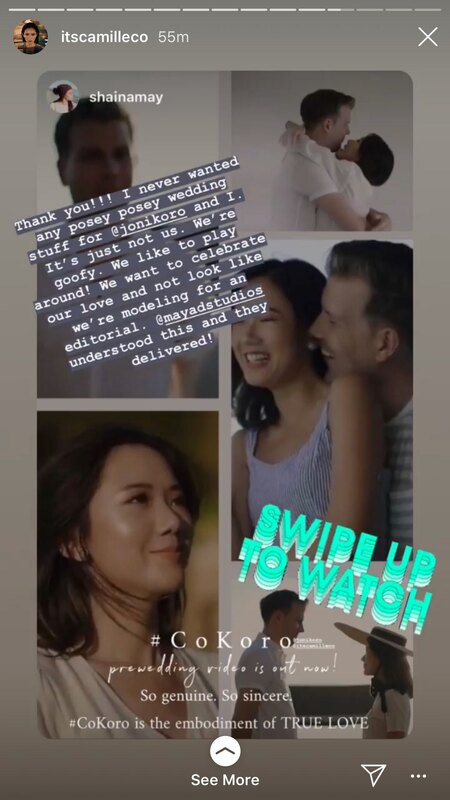 On April 6, Camille Co posted on Instagram Stories that her pre-wedding video with Joni Koro is finally out. In the video's opening sequence, Camille said, "And until now when I look in your eyes, I still get kilig. Actually, our entire relationship feels fast even though we've been dating for four years. It's going to be our day." 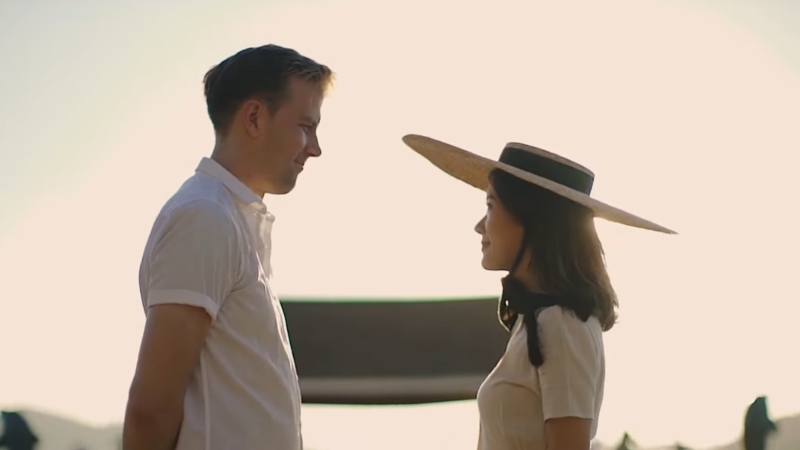 The video was shot by Mayad Studios at the Sunlight Eco Tourism Resort in Culion, Palawan. Camille posted a vlog about it last March 22. According to Camille’s YouTube description, the video is meant to be a teaser for the wedding.